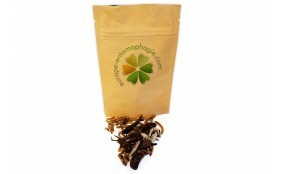 Entomophagy, the habit of eating insects, dates back to the origin of the human species. It's been practiced until in many parts of the world, but not in the Western countries. However, things are changing and it is now becoming a new food trend, especially in Europe. Is the whole planet about to eat insects? Not yet, but this could become reality in a few decades. 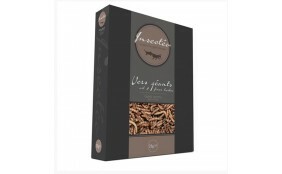 Over the last few years, the United Nations Food and Agriculture Organization (FAO) has been encouraging the world to develop insect farming and consumption of edible bugs. The reason is simple: entomophagy is one of the only solutions to feed 9 billion people by 2050, or maybe as early as 2030 according to some researchers. Indeed, when looking at the constant evolution of environmental degradation, the pressure of climate change, rising energy prices, rising demand for meat and dairy products, humanity could face a food disaster by 2030. This is tomorrow. Right now, nearly 900 million people are affected by malnutrition. If cattle requires 8 kg of food to produce 1 kg of meat, insects require only 2 kg of food to produce 1 kg of edible insects. Some species are richer in nutrients than fish or beef. According to a French edible insects breeder we work with , the amount of protein found in 100 g of beef is equivalent to 40 small crickets. 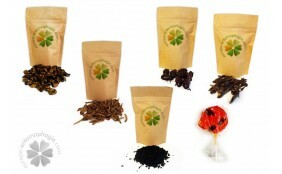 Moreover , insects are not directly harmful to the environment. They emit very little CO2 and their growth is less expensive compared to conventional farming. 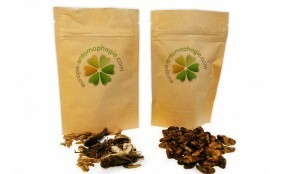 In almost all Asian countries people eat insects. In Central America and parts of Africa, many have also this kind of food practice. But for Westerners, eating insects is still an act of courage, a kind of funny challenge. Beyond the fun side, we have to realize that there 's a real ecological issues. A statement must always be supported by evidence and tangible analyzes, this is why researchers are welcome to prove insect farming does not harm the environment. According to researchers at the University of Wageningen in the Netherlands, raising crickets, mealworms or grasshoppers produces less polluting gases such as methane that cattle or pigs. In addition, edible insects don't impact the quality of the soil, as they are usually kept in vivariums or suitable containers. Traditional farming produces a large amount of ammonia, which is a very negative element for the soil and groundwater. Then, it is virtually impossible to grow anything on acidified or nitrified land. Here are some figures to illustrate this: a beef rejects nearly 7.08 g of CO2 per kilo per day. A pig rejects nearly 27.96 g, while a cricket only reject 0.09 g.
We are convinced edible insects will help feed the human population of this planet in the near future. 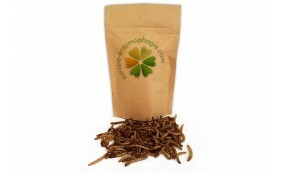 Edible insects are already considered by some food operators a promising sector. Indeed, the market is expanding in several countries of the world like China, Thailand, Vietnam and several countries in Africa and South America. But what about Europe? So far, European countries have not yet really looked into the matter, despite the recommendations of the United Nations Food and Agriculture Organization (FAO) on the development of insect farming and the consumption of edible insects. To become a reseller, you must first be a real specialist. All insects are not edible and you must ensure whether the insects you want to sell were bred for human consumption. It is normal to feel a certain disgust at the beginning, which is why it is so important to be able to explain what edible insects really are. Therefore, we offer our products for sale in stores or online shops. Do not hesitate to contact us. 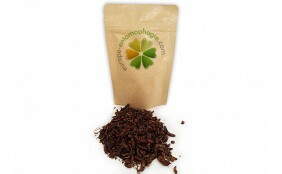 The first step that can help people get used to eat insects is through tasting. A chef specialized in edible insects can use his talent to prove to people that entomophagy is not a disgusting practice, quite the contrary. He can prepare a variety of dishes with insects with all kinds of ingredients. Sometimes, edible insects are shown stacked on the table so people can get used to see them. Insects can be adapted to recipes of traditional dishes, pastries and even sweets like lollipops containing scorpions or ants for example. Very often, colorful insects are not edible, even toxic. This is why the markets in Asian countries only have bugs with colors like brown, pale green or yellow. So are larvae , worms, grasshoppers, crickets wasps, mopane caterpillar, ants, scorpions, giant bugs or beetles... They can be prepared fried, stewed, on skewers or mixed with custard or embellished with numerous spices. 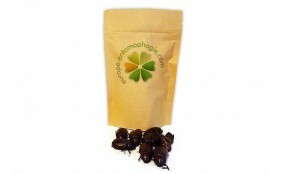 Contact us to arrange your party or event with a tasting of edible insects.